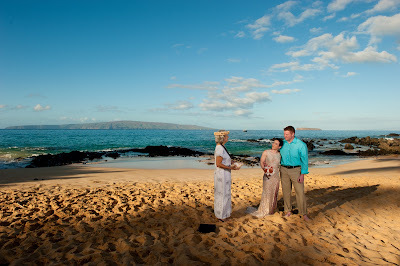 Marry Me Maui Wedding Planners has been running a morning special wedding package for a while now geared toward the couple who intends to elope to Maui yet still wants excellent imagery and professional service at a competitive price. Jessica and Dennis, 2 body builders from back east were our latest "special" couple and we had a magnificent morning at Makena Cove with only the Honu and the whales joining us for the ceremony. We got some beautiful shots of them and captured their love and commitment on the beach. Of course, we offer larger packages with more time for photography and larger groups but we are also offering smaller intimate packages with the same excellent service. So check out packages page linked above and enjoy the images we captured of Jessica and Dennis today!